SWAN FIXED POINT is a measuring technology patented by Electronic Systems which is ideal for direct, contactless thickness measuring. Automatic calibration with reference target. Compact protective case designed for heavy duty industrial environments. Automatic positioning on the measurement point. Protection of sensor in case of lumps or extra thickness. Category: Sensors. 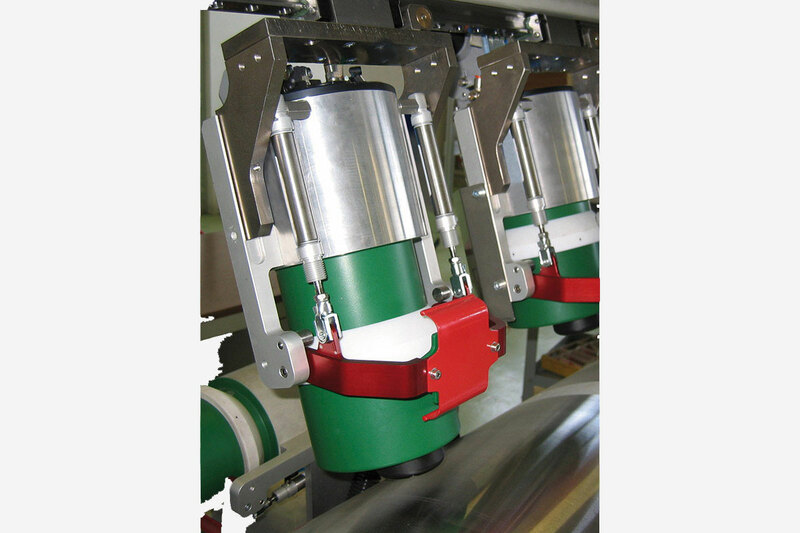 Tags: Calendering lines, Coating & laminating, Rubber, Sheets & foils. The distance between the air nozzle and the surface of the material to be measured is calculated with a special pneumatic transducer. The distance from the measuring head to the reference roll is measured by a high precision system with inductive sensor. In this way the thickness of the material is calculated as the difference between the reference roll detected by the inductive sensor and the distance from the reflection point measured by the air-blow sensor.